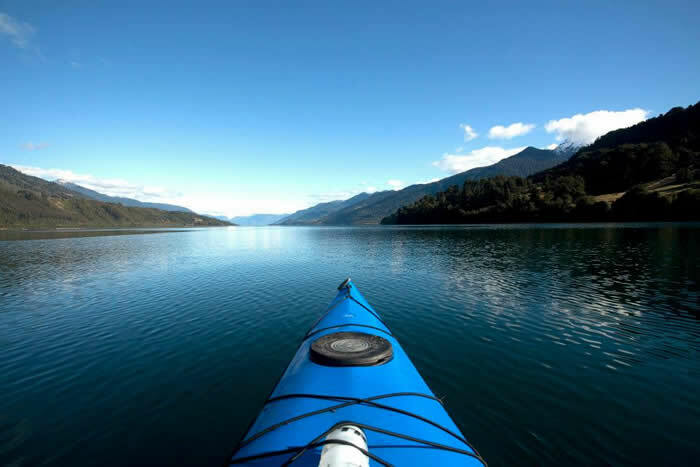 The day begins with a drive from your hotel in Puerto Varas to the Ko’Kayak headquarters in Ensenada, where you will receive your equipment for the day. Afterwards, you will board your kayak on the Río Petrohué and paddle downstream with the current. On all sides, you’ll observe an unblemished countryside and snow-capped volcanoes, and with a little bit of luck you’ll spot salmon, cormorants, and kingfishers. Upon reaching Reloncavi Fjord, you will replenish your energy with a picnic lunch on the beach, then start out on your wonderful outing down the fjord. 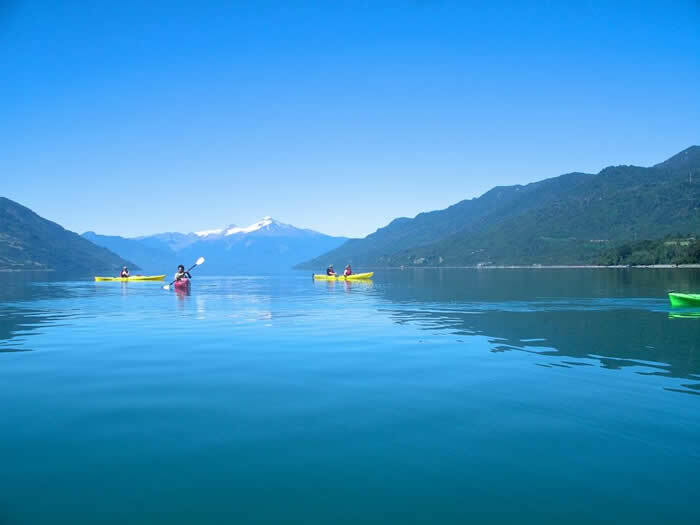 As you paddle, you may see Chilean dolphins, sea lions and many different bird species; but regardless of the wildlife you encounter, the trip through the dramatic fjord is sure to be one you’ll remember. From your ending-point at the village of Cochamó you will be taken back to Puerto Varas.